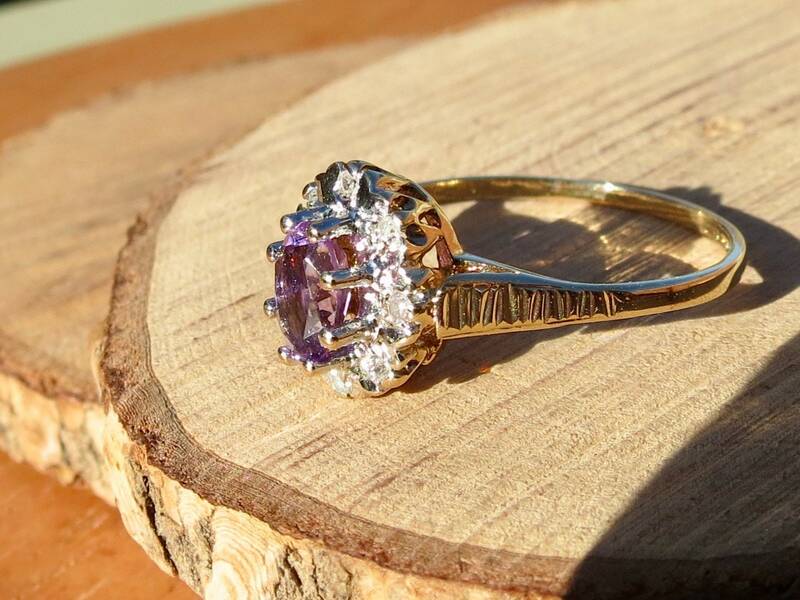 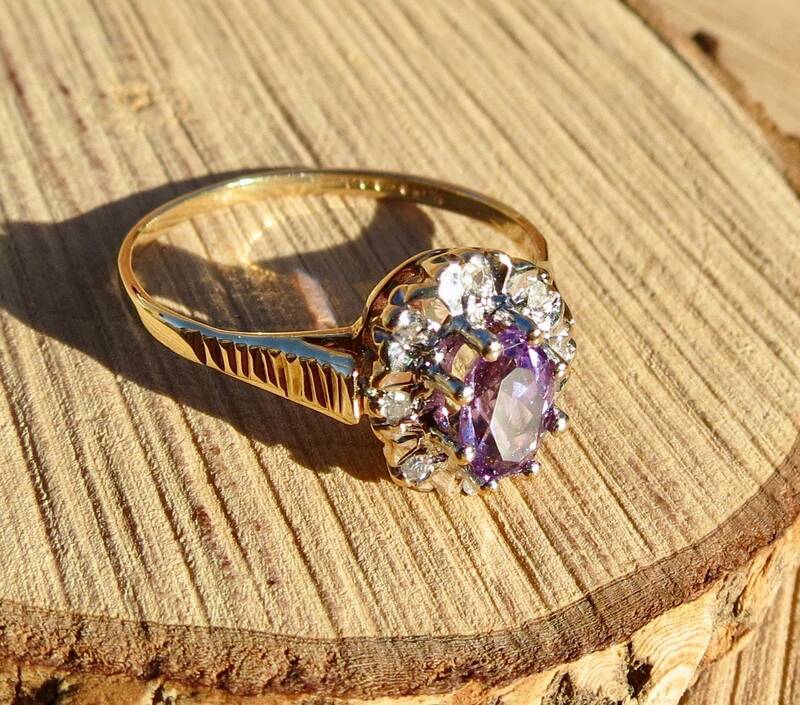 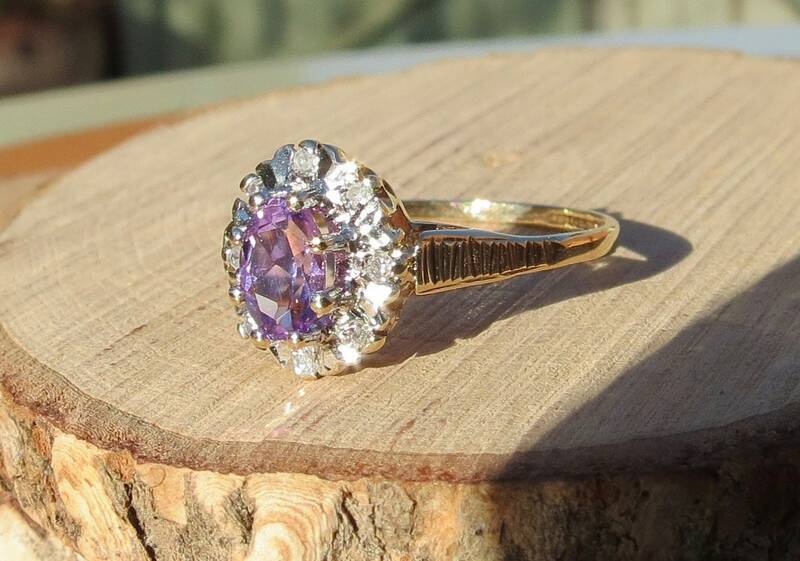 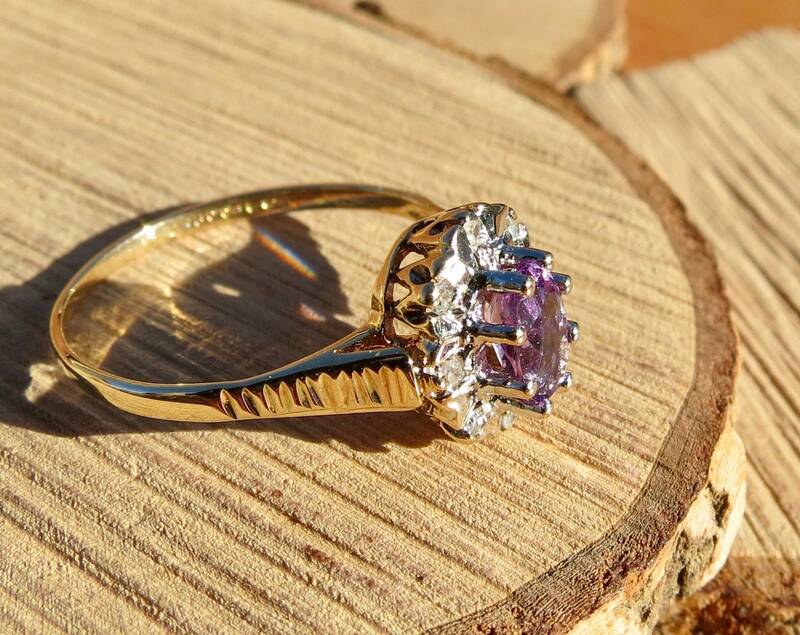 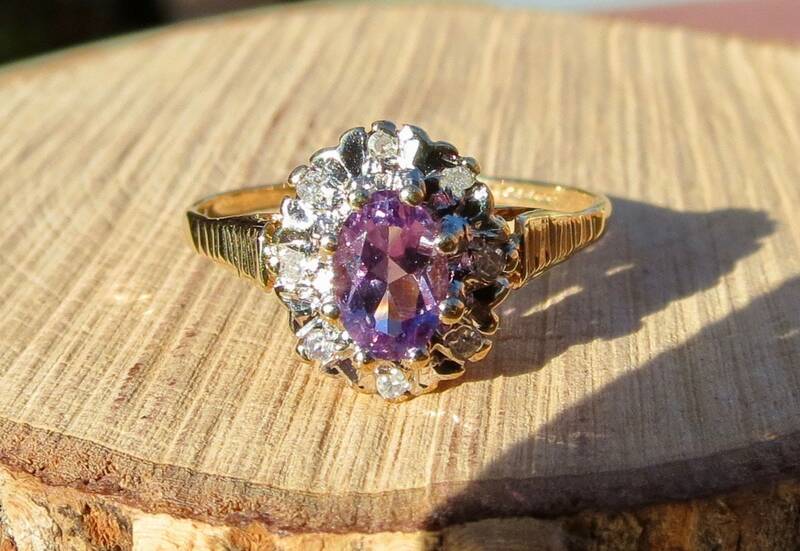 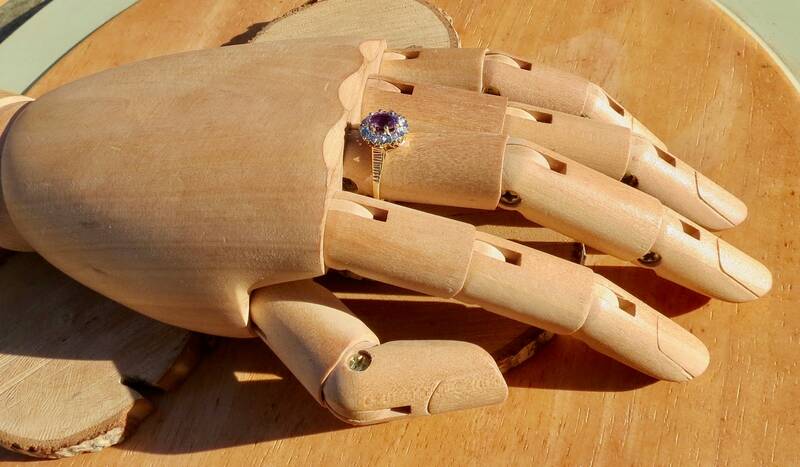 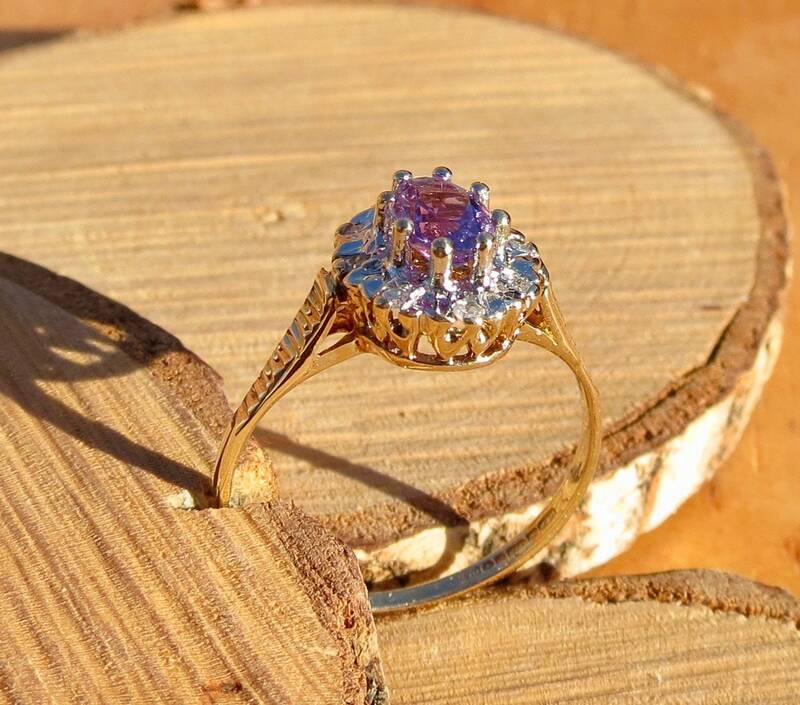 This 9k yellow gold ring has a 1/3 carat amethyst set with a halo of brilliant cut diamonds. 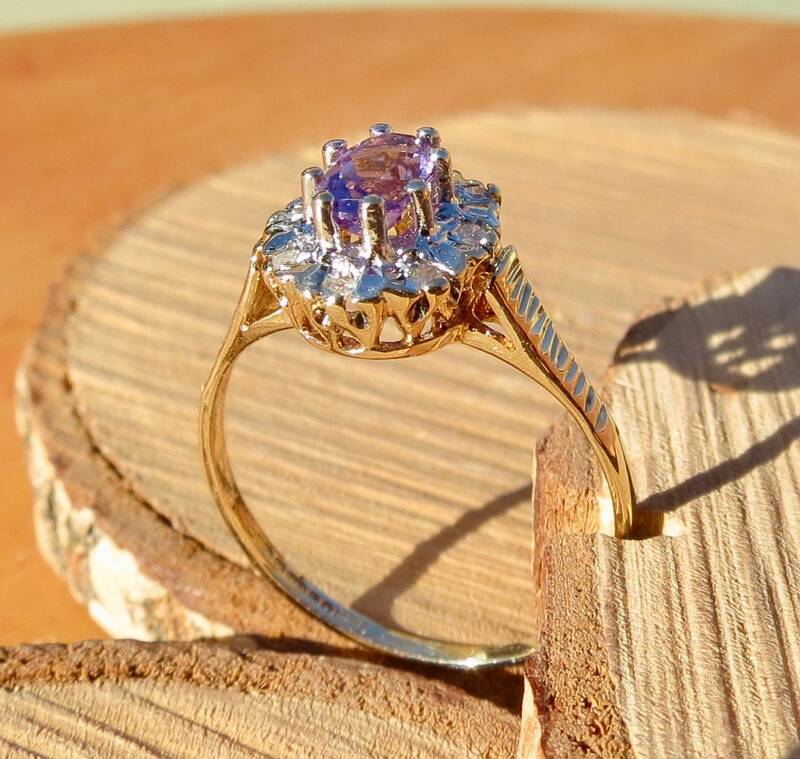 The decorative gallery has grooved shoulders leading to a plain band. 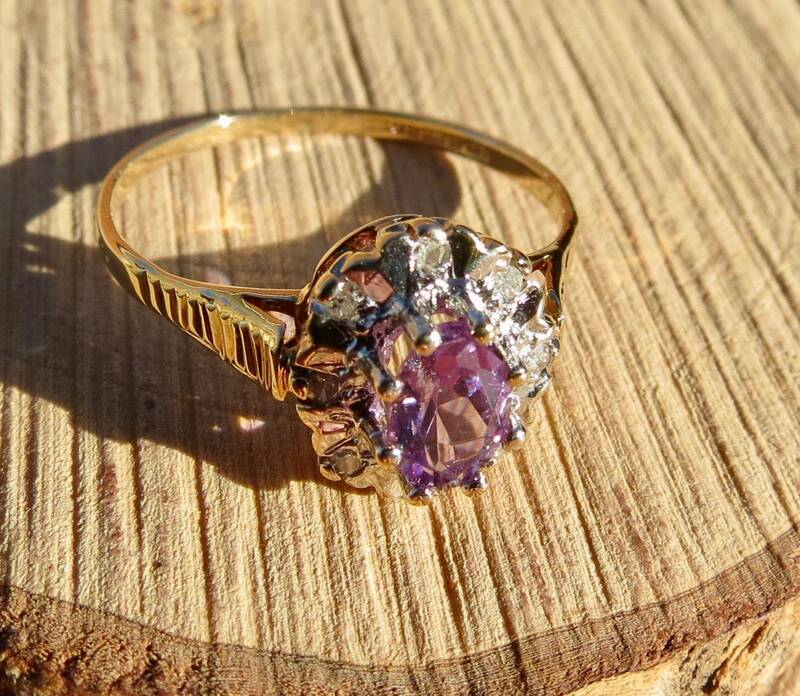 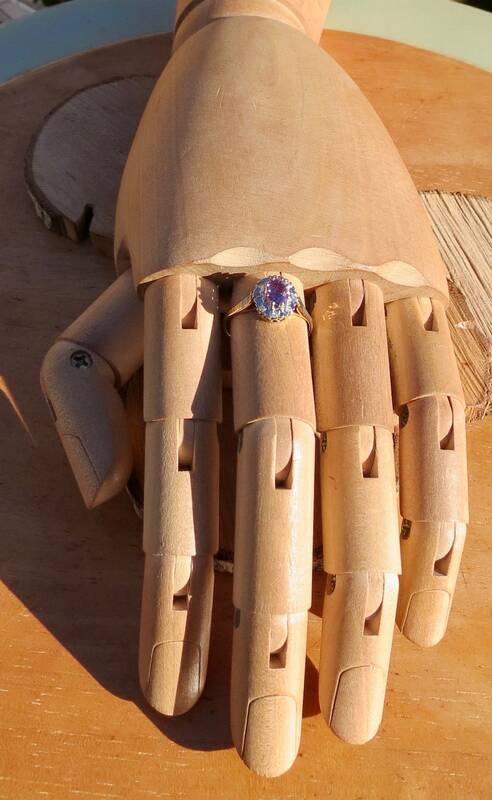 The amethyst is in fine condition, well saturated colour and no scratches or chips.